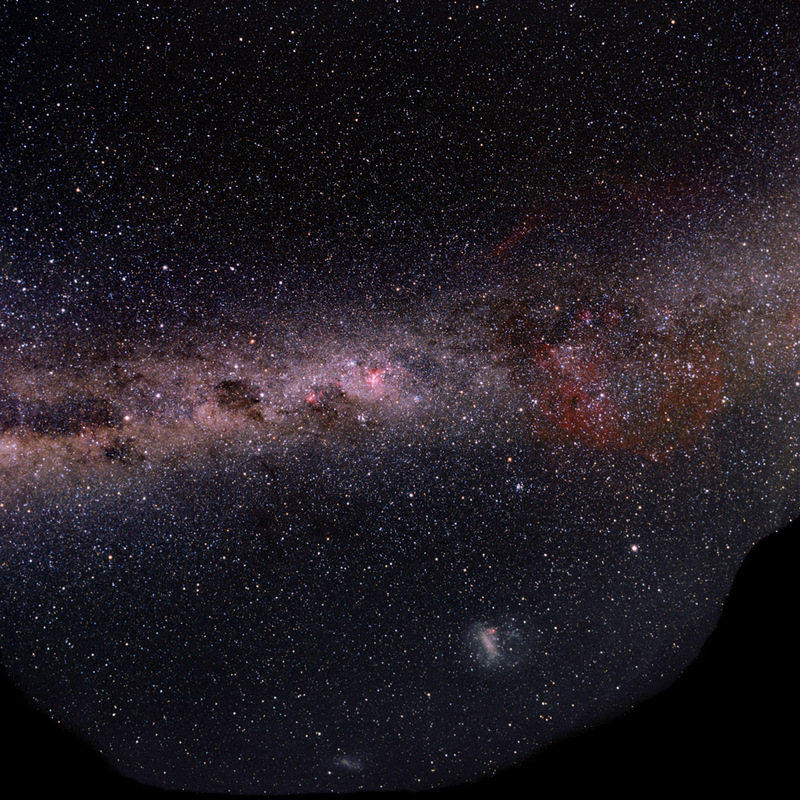 This is the portion of the Milky Way closest to the celestial South Pole. At right is the huge Vela supernova remnant. The Small Magellanic Cloud is visible at bottom center, almost at lower culmination.